During the Chinese New Year, shops like Bee Cheng Hiang ( 美珍香 ) are packed with shoppers buying trendy CNY goodies like Pork Floss ( 肉松 ) and Bak Kwa ( 肉干 ), a Chinese salty-sweet dried meat product similar to jerky. There are usually lots of leftover after the festive period and I would use them in my cooking. Pork Floss ( 肉松 ) is popularly used as a topping for food such as congee, tofu, or even as a filling for pastries. 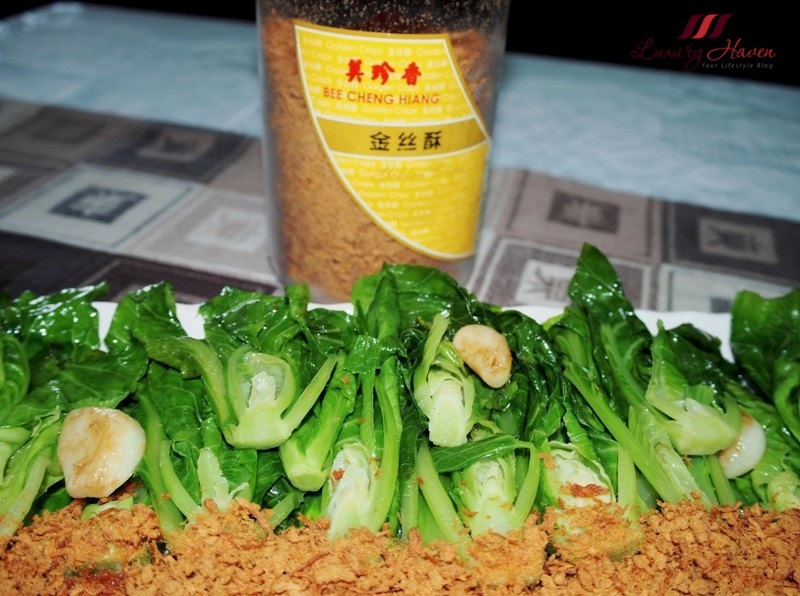 I have a bottle of Bee Cheng Hiang Crispy Pork Floss ( 美珍香猪肉松 ) sitting at home, and I love snacking on it. 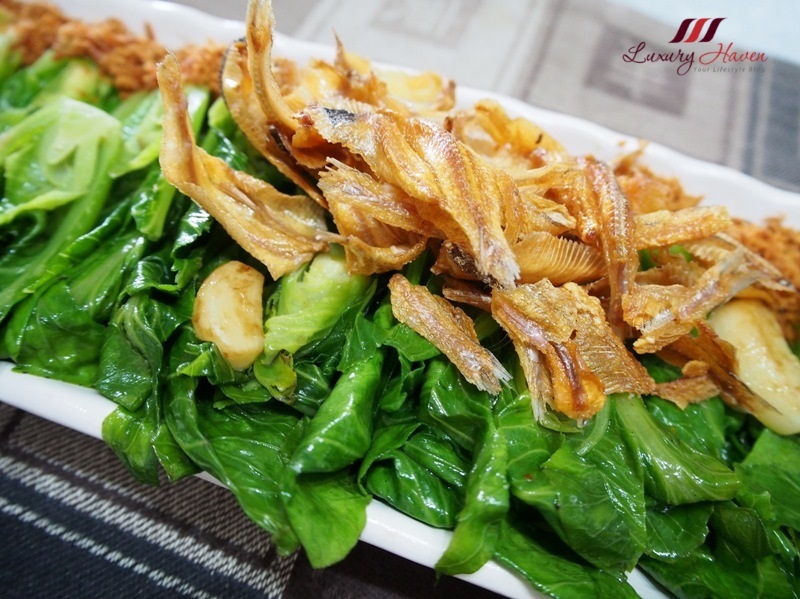 But the Pork Floss with Baby Kailan and Deep-Fried Mermaid Fish ( 美珍香肉松炒小芥兰 ) is a winning combination with its sweet and savoury taste coupled with the crunchy texture. 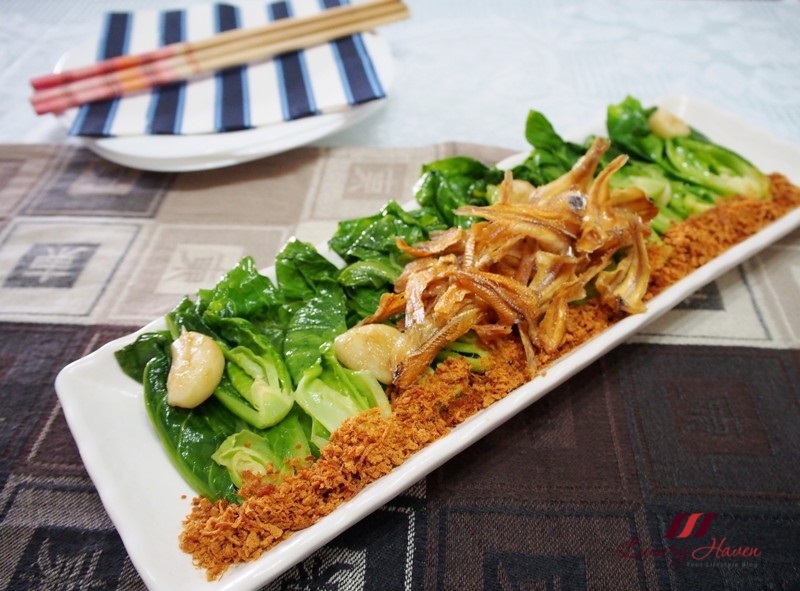 The extra ingredients certainly add flavours to the simple kailan vegetable dish. Try cooking it and let me know if you enjoy as much! Dispose end of stem. Cut vegetables vertically into halves and rinse thoroughly in water to get rid of sand particles. 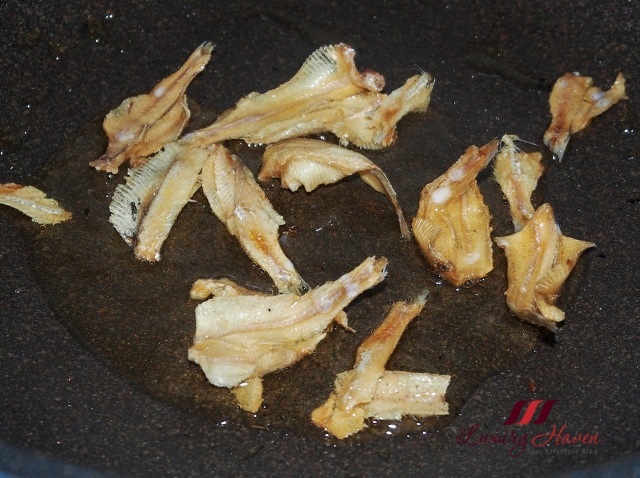 Heat cooking oil and fry mermaid fish in batches till crispy. Drain and remove oil. Heat olive oil and fry garlic till fragrant. 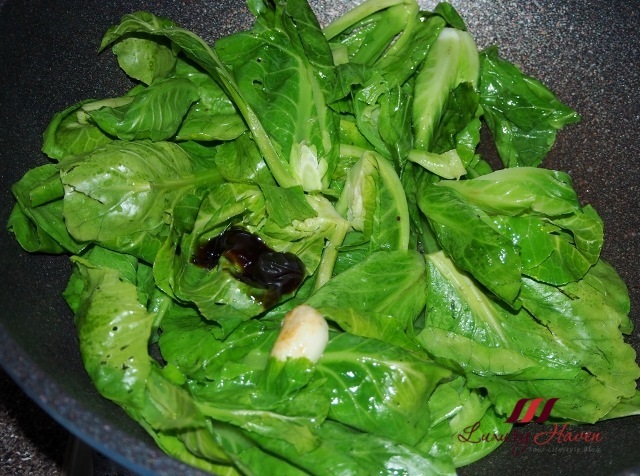 Add kailan and seasonings and stir fry till vegetables turn bright green. 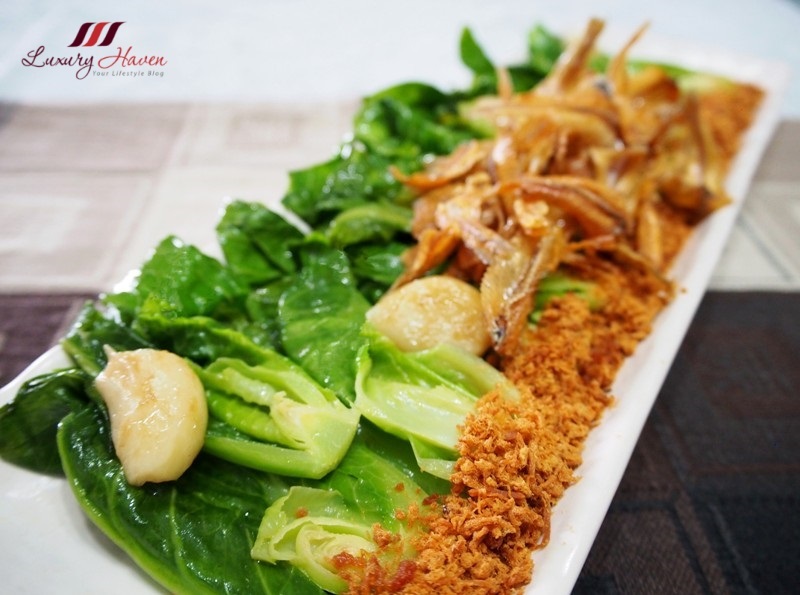 Dish out kailan and serve with pork floss and mermaid fish, and your simple Bee Cheng Hiang Pork Floss Baby Kailan ( 美珍香肉松炒小芥兰 ) is ready for the table! Oh yum all the way. Chinese food always makes me wobble. This dish is surely a favourite dish for many people! Bee Cheng Hiang is my favourite brand of bak kwa. My favourite vegetable!! Love that you add meat floss in it. This year my meat floss finished. Actually not much leftover unlike last year. Hehe. Looks so delicious. Haven't tried anything with pork floss yet. Delicious I will not mind a plate. Parece ser muito delicioso! Hummm! WOW - this is just soooo yummy! Definitely hungry now! 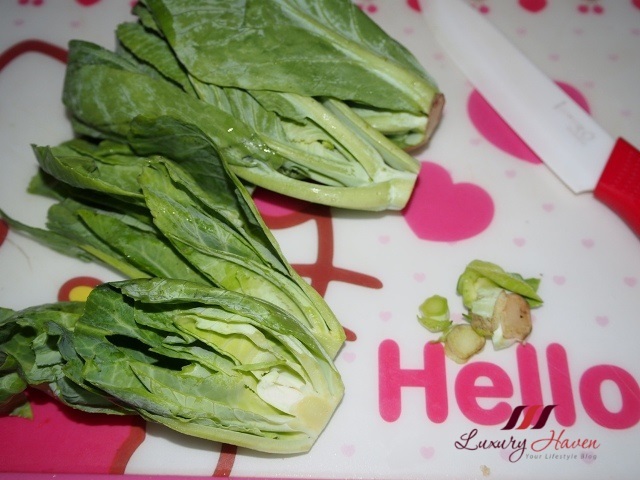 I love eating baby Kailan! I think it's the best to live in Asia because it is very easy to find the ingredients! I love baby gailan and it's in season right now too! 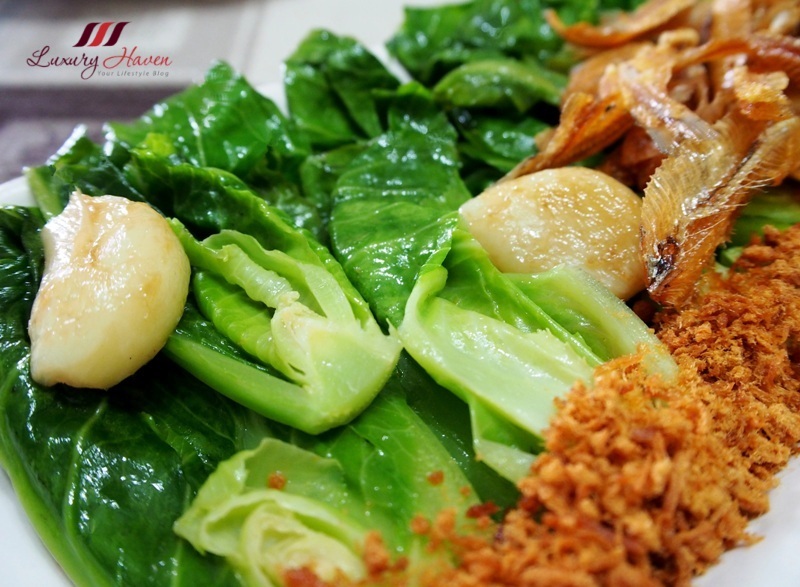 That kailan looks absolutely delicious! Love how vibrant it looks. Yum. looks so delicious! amazing recipe, thanks for sharing! It looks really so yummy! I would love a big plate of those greens. Un piatto che mette fame solo a guardarlo! What an inspiring meal you have presented, Shirley. Any leftovers? I'd love a nibble!!! I never tried mermaid fish! I bet it is yummy! Yummy dish, with wonderful presentation. Oh this sounds quite good. I use to cook more Asian inspired meals but have not in a while I need to pich this up again. I am making chicken tonight but going to bake it in the oven as I am feeling a bit lazy today.